As the full-frame Sony E-Mount system matures, the available lens selection has continued to grow year after year. While Sony and Zeiss have created a wide variety of lenses from 12mm through 400mm, third-party lens makers have yet to fully embrace the system, save perhaps for Voigtlander, which has released a fair few lenses for the system. The classic third-party makers of Tamron and Sigma have stayed mostly in the shadows, but that has begun to change this year. Sigma has released many of their Art prime lenses for Sony E-Mount, and Tamron has jumped in with their first lens that was designed specifically for full-frame E-mount, the Tamron 28-75mm f/2.8 Di III RXD reviewed today. The Tamron 28-75mm f/2.8 enters into a system that already had four standard zoom lenses: the Sony 28-70mm f/3.5-5.6, the Sony/Zeiss 24-70mm f/4, the Sony 24-105mm f/4 and the Sony 24-70mm f/2.8 GM. You’d think that entering a crowded field such as that would not be a wise move, but the Tamron manages to find its own very desirable niche: it’s a constant f/2.8 zoom that is significantly smaller than Sony’s f/2.8 lens, and the price of only $799 US makes it also the cheapest of these options, save for the very slow and mediocre kit zoom. Many early looks at the lens claimed it was the equal of the Sony GM at 1/3 the price, but is that feasible? Let’s find out. The Tamron 28-75mm f/2.8 features a similar focal range and the same fast maximum f/2.8 aperture as the Sony 24-70mm f/2.8 GM. 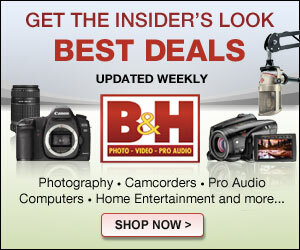 However, one of the big benefits of the Tamron lens is its significantly smaller size and lower weight. 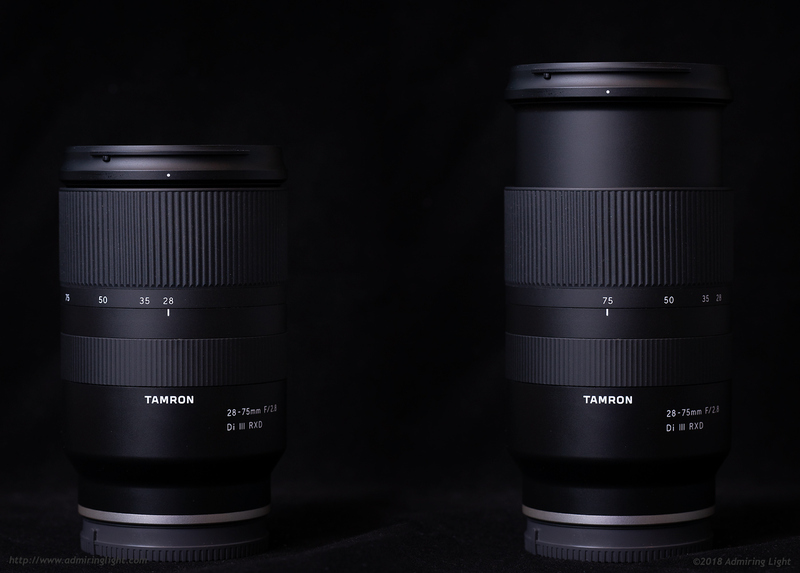 In comparison with the GM lens, the Tamron is a bit shorter, but significantly narrower and nearly 50% lighter. The lens is similar in size, but also lighter than the Zeiss 24-70mm f/4, despite being a full stop faster. As a result, the Tamron 28-75mm handles beautifully on my A7 III, and the lighter weight is definitely felt. When I reviewed the 24-70mm f/2.8 GM, the size and weight immediately made their presence known. It was a beast to carry on long trips out shooting. The Tamron in comparison feels downright svelt. It’s not a light lens, but it is also not heavy, and the smaller barrel helps it feel closer to the kit lens in use than the monster of a lens that is the Sony GM. Part of this size and weight savings is due to the longer wide-angle end of the zoom, but it’s also in the construction. 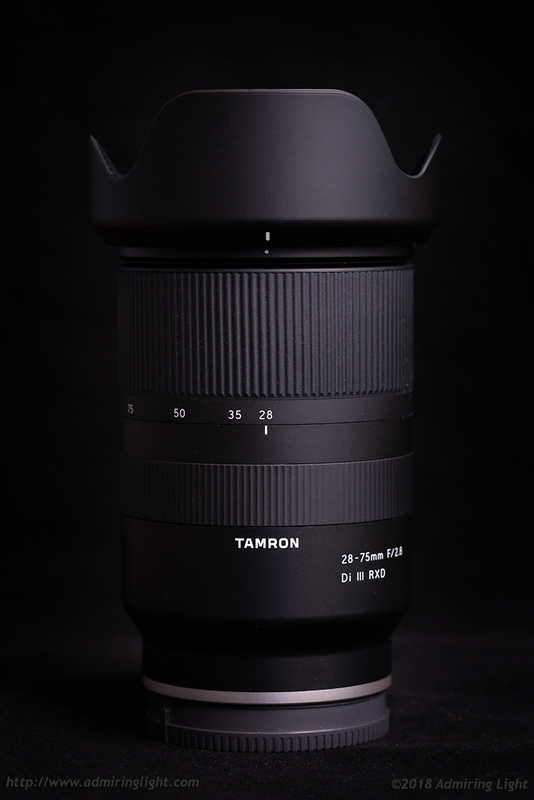 The exterior construction of the Tamron 28-75mm f/2.8 is entirely plastic, save for the metal lens mount, and the smooth finish looks fairly nice, but feels a bit cheap. While the materials don’t feel expensive, they are very well assembled. The lens exhibits no creaks or flexing. The lens tube, which extends as you zoom towards the long end of the range, has no play in it at all, even when fully extended. While the construction seem solid enough, the materials are definitely a solid step down from those on the G-Master lens, and as a result, it doesn’t feel like a high-end optic in the hand. The zoom action is fairly smooth and well damped, and the focus ring has some light damping, but is a bit too easy to turn. In all, while lacking the feel of high quality materials, the better handling while still maintaining good tolerances is more than a fair trade. If you’ve followed the release of this lens, you may have seen some discussion of autofocus problems in certain situations. I’ve seen reports of AF failures during video shooting, which is fixed by turning the camera on and off. I am not much of a video shooter, so this particular bug did not present itself in my shooting. However, when I first received the lens, I experienced quite a bit of missed focus with the lens, always with a tendency to focus in front of where the focus point was. This was repeatable both indoors and out. After some experimentation, I changed the camera setting for ‘Priority Set in AF-S’ and AF-C to ‘AF’ instead of ‘Balanced Emphasis’, and since changing that setting, I have had no real issues with accuracy. Aside from that hiccup, I found the focus of the Tamron to be accurate and reasonably fast, locking very quickly in good light, and a touch slower in dimmer light. When stopping down, focus slows to a moderate speed, as it focuses at shooting aperture. All the standard focus modes, such as EyeAF, also work as expected. I shot a Bar Mitzvah and heavily used the Tamron, and it performed quite well for me during that shoot. Edit: Since I first reviewed the lens, Tamron has released their firmware update, which corrected lockups in video mode, and also seems to have fixed any other latent focus errors with the lens. In the time since this review was first published, I have shot another paid event with great success, and have continued to experience fast and accurate AF with the lens. I love your leather wrist. Where is it from? 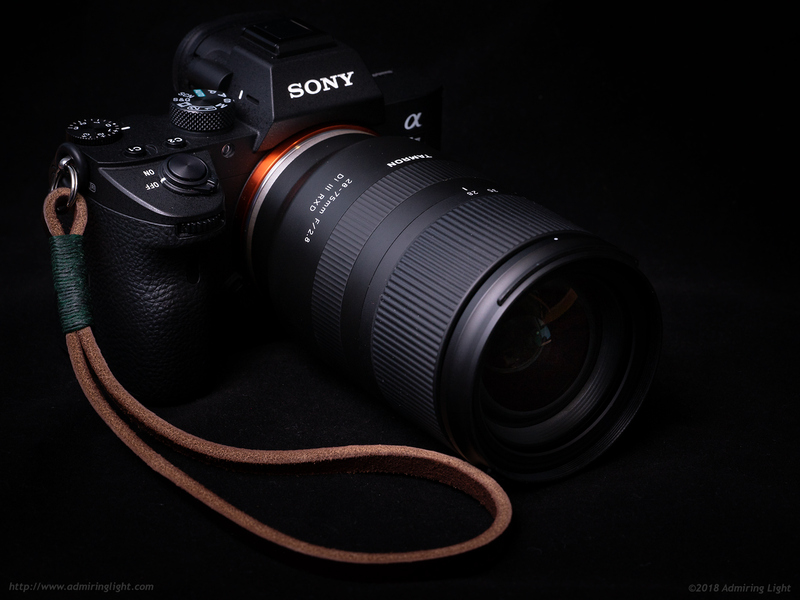 Howdoes it perform compared to the Sony 28mm f/2? I want to change my camera system (Olympus with 12-40mm and 45mmf1.8). I hesitate between the Fujifilm X-H1 & 16-55mmf2.8 and Sony A7III & Tamron 28-75mmf2.8 for kid’s portrait, street photography and trips. I like the ergonomic and EVF of Fuji, and Eye AF, battery life of Sony. As you notice the bad bokeh on Tamron, I hesitate more. Pingback: ???? 28-75mm F/2.8 Di III RXD ??????????? | ???????????? ?